Last modified on February 12th, 2018. On any device, using a modern browser (e.g. Google Chrome, Mozilla Firefox, Microsoft Internet Explorer 10+, Apple Safari) navigate to https://www.innoslate.com/signup/. 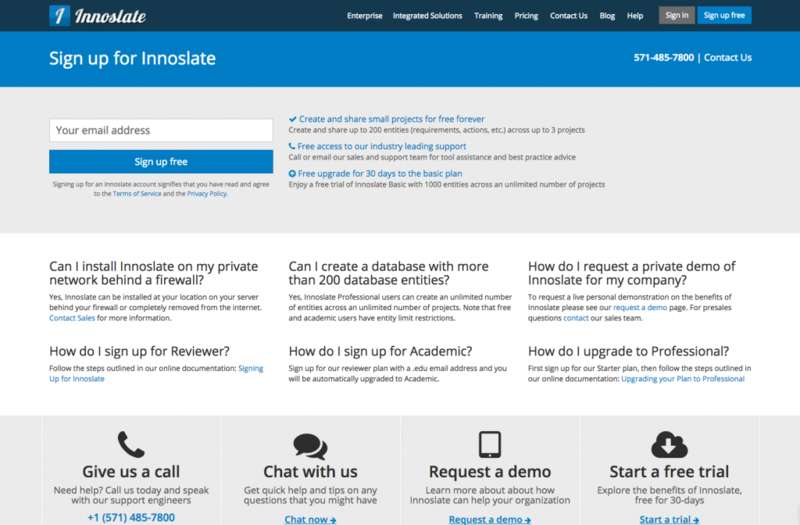 Innoslate.com serves as your gateway to accessing not only Innoslate via the public cloud, but also links to all available documentation, example projects, and forms to submit requests for new features, feature enhancements and defect fixes. Enter your valid email address and click on the ‘Sign up free’ button just below the input field. If you do not already have an account, and you have entered a valid email address, an alert will replace the form informing you that a confirmation email has been sent to your email address. You should receive an activation email from Innoslate. Click the link in the email to activate your account. 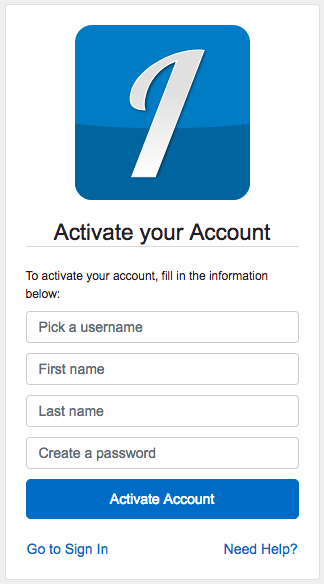 The link will then navigate you to an ‘Activate your Account’ screen (shown below), where you will be asked to pick a username, input your first and last name, and create your new Innoslate account password. We ask that you provide us with your first and last name for support purposes, however those fields are not required. Once you’ve entered your information, click the ‘Activate Account’ button to be automatically signed into Innoslate and redirected to your Organization Dashboard, where you will be able to begin creating a new project.